This morning we awoke to a dusting of fresh snow with more in the high country. 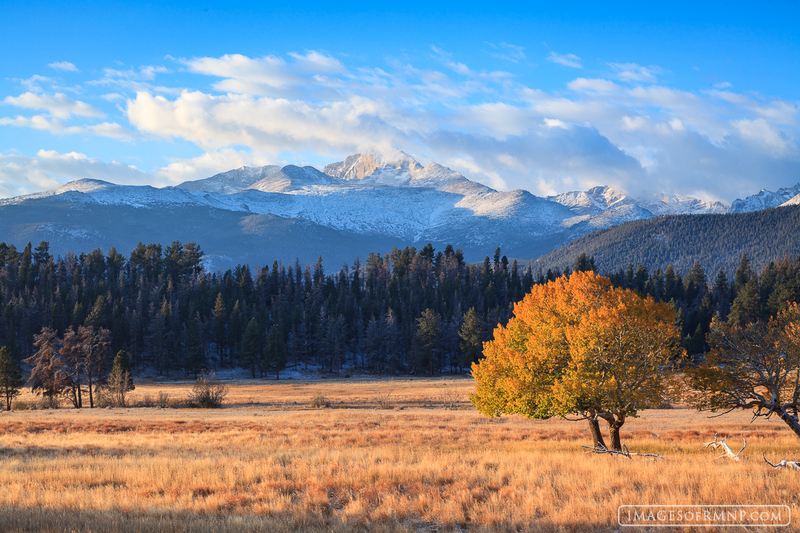 The light was fabulous and revealed the wonderful colors of the autumn grass and an aspen tree in Beaver Meadows. The distant forest was covered in frost and nearby elk were bugling. Far above Longs Peak was covered in a layer of snow as gentle clouds passed by. Photo © copyright by Erik Stensland.